Over the past 30 years the northern Detroit suburb of Troy, Michigan, has changed from a peaceful farming village to a sprawling boom town. But tucked away in a quiet corner, screened by trees and other plantings, is one of metro Detroit’s most unique residences, occupied by the family of the world’s most distinguished names in architectural photography. Hungarian-born photographer and architect Balthazar Korab, a U.S. resident since 1955, has roamed far and wide in his career, shooting an estimated quarter-million images of the world’s best architecture in spots as remote as the deserts of Yemen. 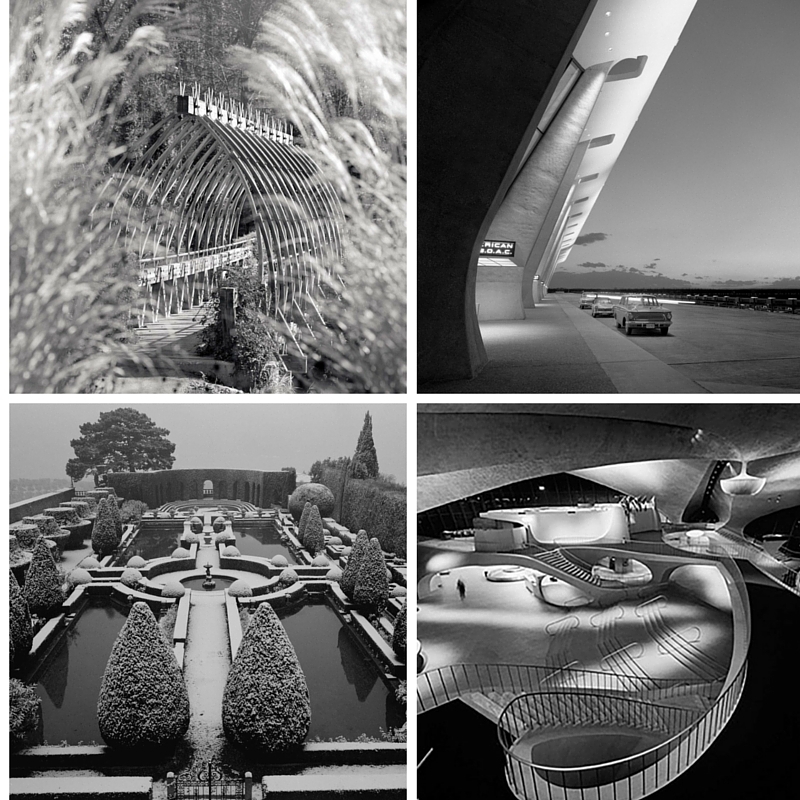 His photographs of the work of such famed architects as Frank Lloyd Wright and Eero Saarinen are displayed in prominent museum and personal collections. it with trees, flowers, a small pool and artwork crafted from tree stumps and found objects. Here, the Korabs created an oasis of the simple life for themselves at home, a life dedicated to art, photography, gardening, friends and their two children, Christian and Alexandra. The home blends the Korabs’ two great passions — nature and natural materials on the one hand, and a modernist design ethic on the other. No visit to the Korabs’ home is complete without a tour of the gardens. “A garden is not a product, it’s a process,” Balthazar observes. “It can be hard labor, too. But in our case, it’s a labor of love.” Balthazar grew up in Budapest, where he cultivated a small rock garden as a tot. Their garden today is intensely personal, dotted with found objects. The Korabs once grouped big wooden spools for telephone cables on the hillside, their fronts charred by flames for a more interesting texture. Old beams from the barn were buried upright for dramatic visual effect. This eclectic setting of plantings and objects became a focus for Balthazar’s lens. 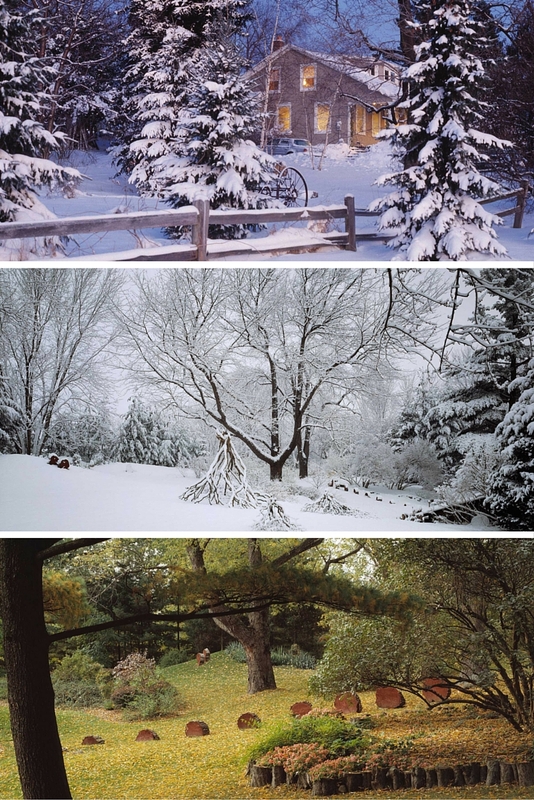 “The garden I photographed over and over,” he says. But what is perhaps most striking about the Korabs’ residence and studio, aside from the tranquility so close to a bustling thoroughfare, is the unique mix of 19th century rural architecture with modern furniture and art. 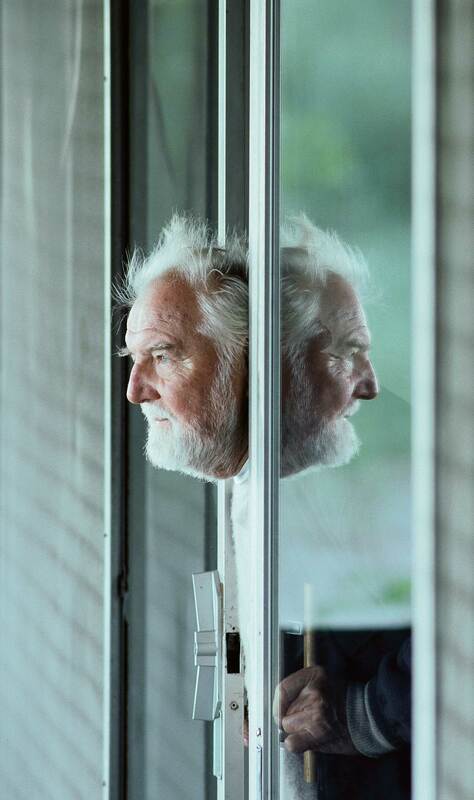 Balthazar, 84, came of age in the golden days of modern furniture design, and he and Monica have filled their home and studio with glass-and-steel and leather furniture by mid-20th century masters. There is a glass-topped dining room table by the European architect Le Corbusier. Their upstairs office in the barn contains both the latest Aeron chair from the Herman Miller Company and a Mies van der Rohe vintage daybed — “for everybody to crash on,” Monica explains. A gleaming white iMac sits on a contemporary desk. Yet the Korabs also adhere to an Arts & Crafts ethic, collecting handmade furniture and high-quality art objects, many found during their travels. Their modern furnishings blend with the 1800s Midwest rural architecture, artwork and antiques to create a very special place. The impression one gets of Balthazar Korab is that he is as unique as his home — a harmonious and affable blending of the old and the new. His work reflects both the dynamic history of architecture and the expansive horizons of his own mind, taking in the traditional and the radical and everything in between. No effort has been made to hide the humble origins of the Korabs’ home. The barn’s original wood beams still brace the ceiling. The wooden staircase to the upper studio loft space is original. The fieldstone walls also are original, left natural on the exterior although painted white on the interior. In the basement of the house, the foundation combines locally gathered fieldstone, handmade bricks and wood. Some ceiling beams still have bark on them. 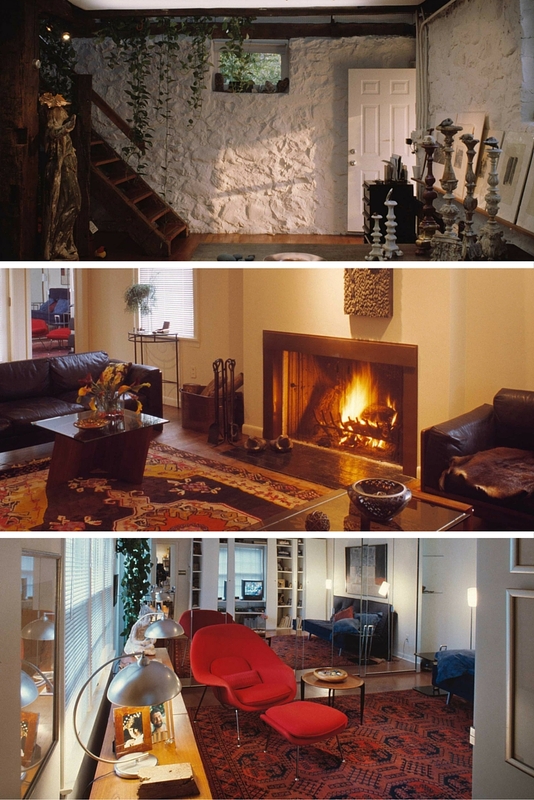 The original wood plank floors in their two-story residence create a rustic setting for the furniture of Hugh Acton, Tobias Scarpa and others. As a counterpoint to the moderns, the Korabs have scattered antique Italian chests and tables here and there — souvenirs of a couple of years they spent in Florence in the 1960s. The Korabs’ biographies are as eclectic as their furnishings. Monica is a Detroit native, but Balthazar was born in Hungary, fled Communist rule, studied architecture in Paris, came to this country in the 1950s, and soon evolved from designing buildings to photographing them. His work now is represented in museums around the world. In 1994, then-President Bill Clinton presented a portfolio of Balthazar’s photos to Árpád Göncz, the president of Hungary, during a state visit. Even now, Balthazar continues to work, sometimes taking the entire family along. The Korabs recently shot an architectural commission on Long Island with Balthazar directing the shots, his son Christian operating the camera, and Monica and daughter Alex helping out. Balthazar says he has no plans to retire. Editors Note: This article features the late Balthazar Korab and was originally published in 2010.